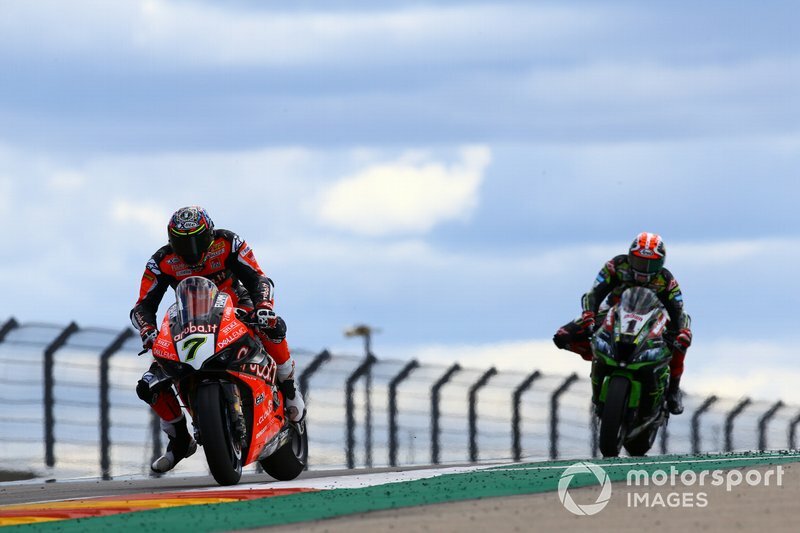 Reigning world champion Rea has taken a run of nine-straight second places behind MotoGP convert Bautista across the three rounds held so far in 2019, and currently sits 39 points adrift of the Spaniard in the standings. 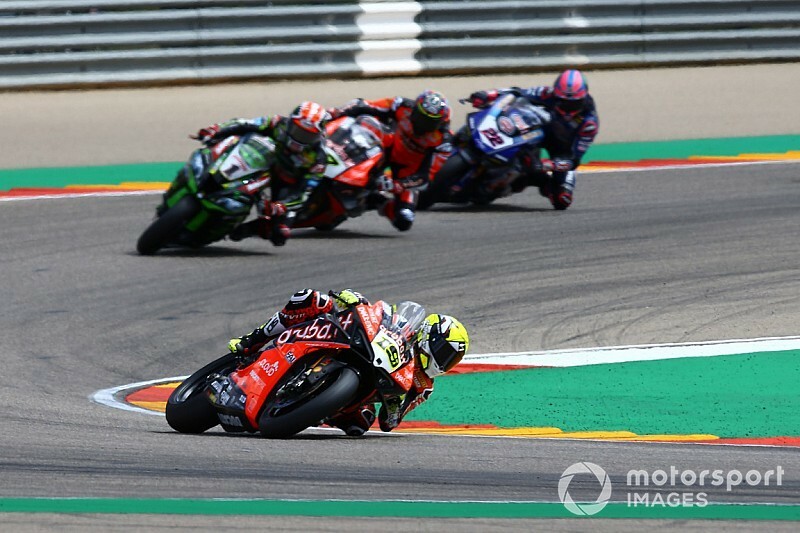 After finishing seven seconds back from Bautista in the final race last weekend at Aragon, Rea admitted winning a race right now is “too far to think about”. He also conceded Kawasaki has been “nervous” in moving away from its base with the ZX-10RR to meet the benchmark set by Bautista on the all-conquering Ducati V4 R, and believes KRT now needs to try something different with bike set-up. “Second place is very satisfactory right now, I'm very, very happy,” Rea told Eurosport. “There's a lot of work to do to win a race, it's too far to think about. 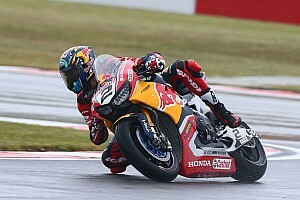 [We need to] just keep chipping away at Assen, try to bridge the gap a little bit more and find a new feeling. “But it's difficult, because when a new benchmark come, seems like we have our base, our reference with the bike, and sometimes we're nervous to go away from that – especially on a weekend where Pirelli are bringing new tyres. 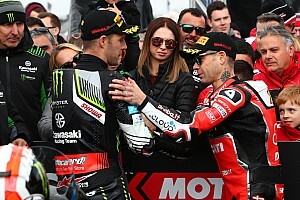 Rea was involved in a race-long battle with the sister works Ducati of Chaz Davies, his KRT teammate Leon Haslam and Yamaha's Alex Lowes in the second main encounter on Sunday. 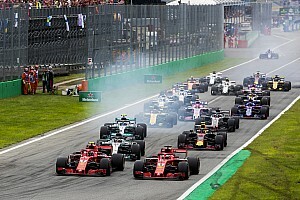 He prevailed to take second, but admitted he was “on the back foot” in the closing stages due to a lack of rear traction, and was “nervous” of Davies unleashing the power of the V4 R on the run to the final corner on the final lap. “I really enjoyed the racing, especially that race,” he added. “I felt like I was really on the back foot and having to throw everything at it with five to go. “I didn't have so much rear traction left, but I stopped trying to look after the tyre and just threw the kitchen sink at it. 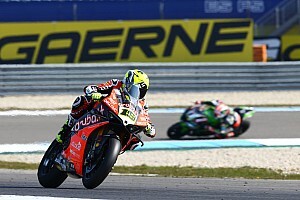 “It worked, Chaz made a mistake at Turn 1 and I tried to capitalise on that and put my head down for the rest of the lap.